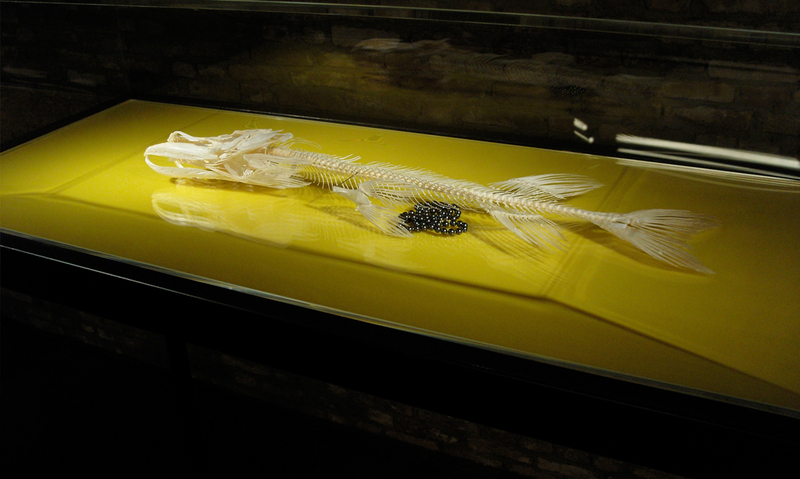 In 2009, during the fashion exhibition Gejaagd door de wind (Gone with the wind) at the Zuiderzeemuseum in Enkhuizen, Noten showed his work The Revenge of the Pearl Necklace consisting of the decomposing body of a pike that gradually exposed a pearl necklace Noten had hidden inside the stomach of the fish. Visitors were overwhelmed by the smell. 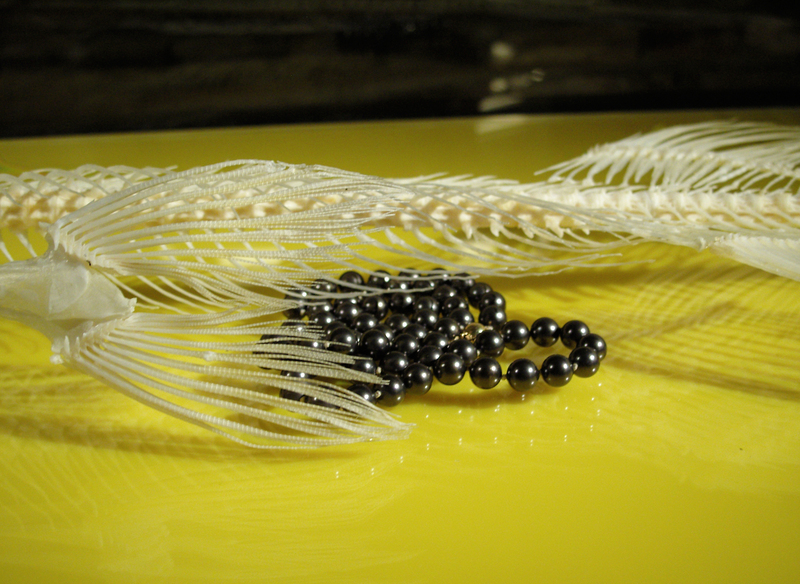 Later during the exhibition Noten showed a video of the decomposing process together with the pike’s cleaned skeleton and the necklace itself. 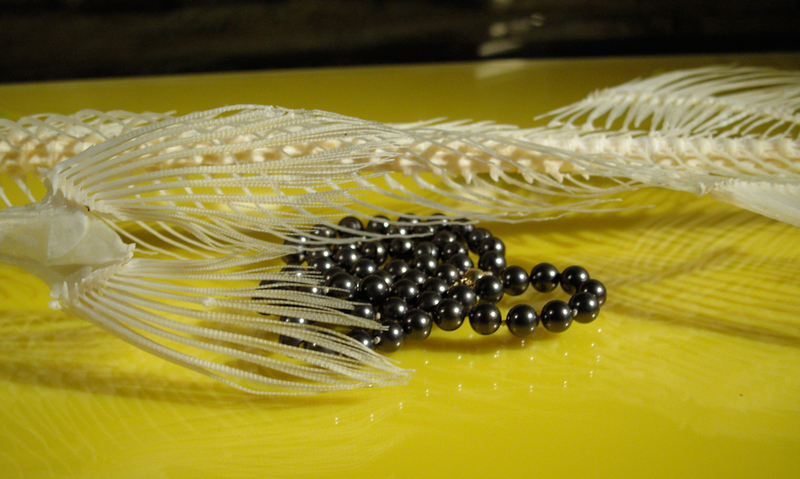 With The Revenge Noten is referring to the Zuiderzee fishermen’s loathing of pearls as these were very popular with the nobility.